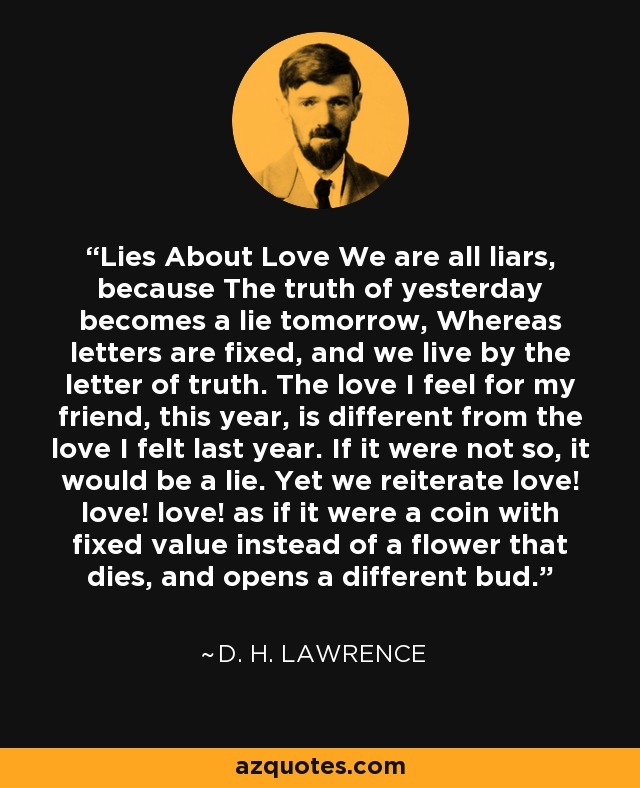 Lies About Love We are all liars, because The truth of yesterday becomes a lie tomorrow, Whereas letters are fixed, and we live by the letter of truth. The love I feel for my friend, this year, is different from the love I felt last year. If it were not so, it would be a lie. Yet we reiterate love! love! love! as if it were a coin with fixed value instead of a flower that dies, and opens a different bud.